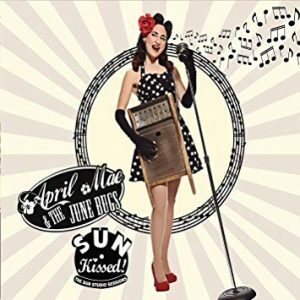 April Mae & the June Bugs – Roots Baby Roots! April Mae: Lead Vocalist, KazooZaPhone, Washboard & other implements of percussion. Dave ‘Catfish’ Fecca: Cigar Box Guitar, Mandolin, Banjo, Vocals. 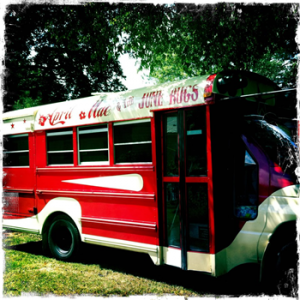 April Mae's beloved Boogie Bus! April Mae has that legendary blues affliction some call the urge to “ramble” coupled with an affinity for vintage trains, bread trucks and school buses. In June of 2011 her dreams came true when she bought a diesel school bus with her heart set on converting it to run on recycled vegetable oil. 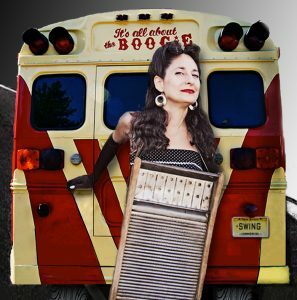 On November 13, 2011 Big City Rhythm & Blue Magazine presented her and her affectionately named “Boogie Bus” with the Happy To Have the Blues Award in the category of “Best Ride – Female”. 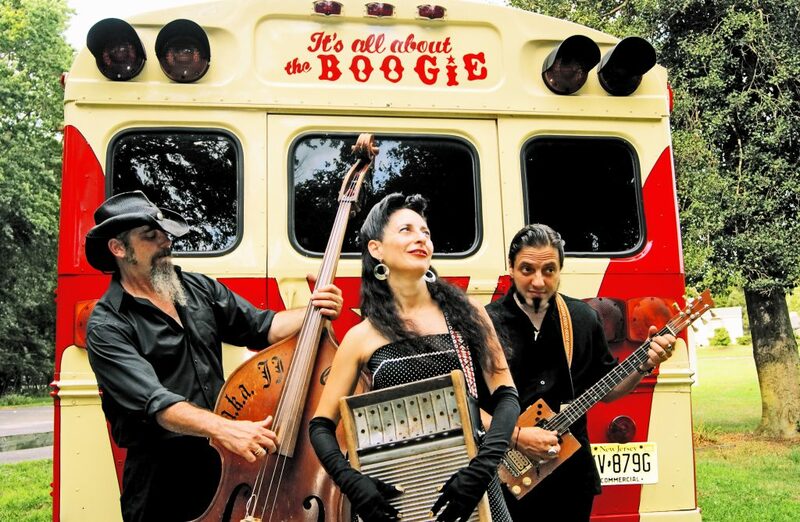 The Boogie Bus is custom painted candy apple red and banana cream in a vintage and whimsical style that took her months of sketching to realize. Grease it up baby, here they come! We’ve got a totally new site! Thanks to our awesome web dev for going the distance and hooking this all up for us. Interested in booking April Mae & The June Bugs!? All you gotta do is Click Here to get in touch.